Thirsty Pilgrim: Great Scott! Secrets of Beer Aging Revealed! Or Maybe Not. Great Scott! Secrets of Beer Aging Revealed! Or Maybe Not. I found this little item in the Sky Mall catalog on the plane back to Costa Rica: the Vintage Express Aging Accelerator. Marketed toward wine and liquor aficionados, it "accelerates the aging process by recreating the Earth's natural magnetic field." The two obvious questions: (1) Does it really work? And if yes, then (2) would it work on beer? "Enjoy the delicious flavor of 10 years of aging in just a few seconds." Imagine the possibilities. Compare a fresh Westvleteren with an "aged" one. 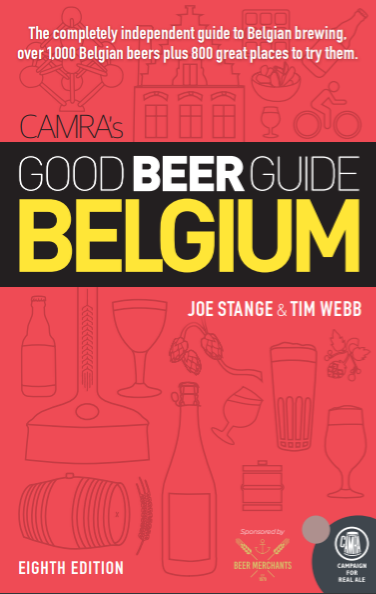 Or a gueuze. Or an imperial stout. Or whip up some fresh IPA, leave some in the flux capacitor overnight, and see if it tastes like it just came off a boat to India. You wouldn't even need 1.21 Gigawatts to power this bad boy. There are no batteries or moving parts, only "extremely powerful Neodymium magnets" which "realign particles in beverages. ... The longer a beverage remains in the Vintage Express, the greater the effect." "Magnetic fields have absolutely nothing to do with aging. This is absolutely preposterous." "This has scam written all over it. Stay far away." "THEY STOLE MY PLANS FOR A HYPERBOLIC TIME CHAMBER AND ARE MAKING MILLIONS MODIFYING THEM FOR VARIOUS COMMERCIAL APPLICATIONS! MY PLANS WERE TO BE USED FOR THE GREATER GOOD OF HUMANITY BUT NOW THEY PATENTED IT BEFORE I COULD AND ARE INSTEAD HURTING MANKIND!" Oh well. Would have been fun to try, but maybe not for $59.99. If you're traveling today and want to hunt for it, go to Page 66. It's just above the ad for the Hollywood Cookie Diet and 15-Day Detox, on the page directly after the Digital BBQ Tongs. I've never ordered a thing from Sky Mall, but it makes for fun reading. The toddler likes it too, since there are lots of pictures of cars, puppies and cookies. 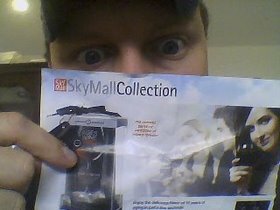 Sky Mall long ago replaced the Sears Catalog as the "wish book" in our house. For gods sake don't put your hand in it! My wine friend (she has a PHD in enology and viticulture, says that she and a panel could not honestly notice any difference. The group felt it was a "placebo effect" or suggested notion. Its like when you taste a beer and say..hmmm I notice violets and glimpses of leather. Then the next person say's "yes I taste those flavors as well"... Be strong and patient lay some beers down for the long sleep. I was given an early version of something like this to test drive several years ago. It was useless.